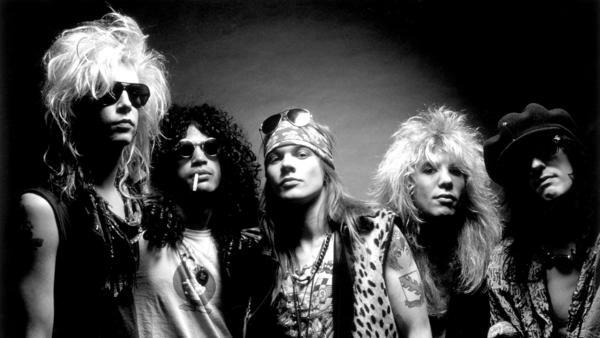 There are reissues of classic albums, and then there are reissues like Guns N' Roses' Appetite for Destruction box set, a 73-song opus that includes several dozen previously unreleased songs. Out Friday, the package (also available in less expansive/expensive editions) includes a trove of studio recordings from 1986 — including a very early, piano-only demo of "November Rain." In its final form — the one heard on 1991's Use Your Illusion I — "November Rain" became one of the ultimate hard-rock power ballads, selling more than a million copies, in spite of a nine-minute running time. But here, you get to hear it without the guitar solos and lavish production: It's just Axl Rose, playing the song at a piano at L.A.'s Sound City Studios in 1986, working out the bones of what "November Rain" would become. And, at 10-plus minutes, it's still as epic as anything. The Appetite for Destruction "Locked 'N Loaded" edition comes out Friday via the band's website.